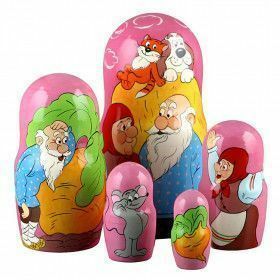 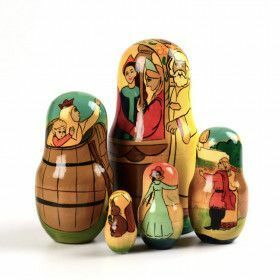 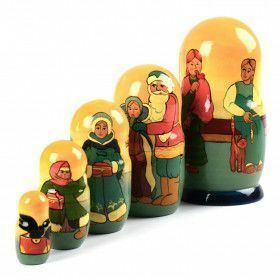 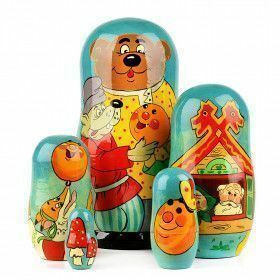 In Russia, the most popular style of nesting dolls are those that depict different scenes from famous Russian fairy tales. 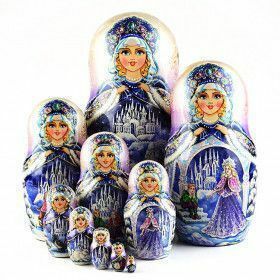 These dolls are often very elaborate and expensive, but you will see many of them if you ever go into a home in Russia. 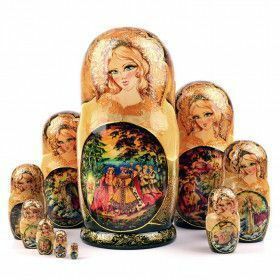 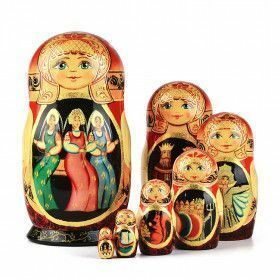 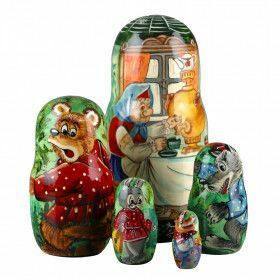 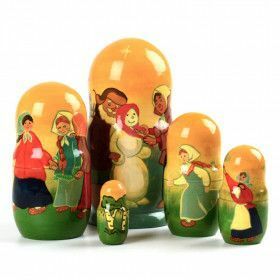 Here at The Russian Store we offer our customers an extensive collection of fine authentic Russian fairytale nesting dolls at affordable prices.